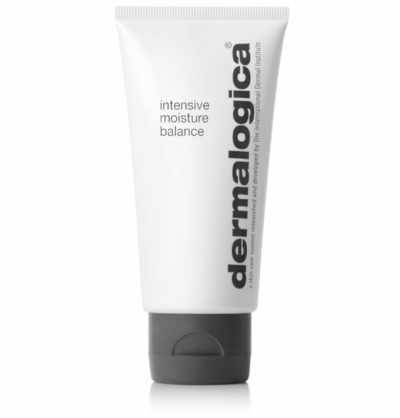 The Intensive Moisture Balance by Dermalogica we have now been using for years in our spa, so it’s time for a review. Dermalogica is well known brand in the spa-industry but is losing some business with upcoming niche-brands like for instance Mudmasky. A new trend in “Spa-Land” is to have a lot of different (niche)brands instead of one or two lines of a few brands. Consumers are demanding more choice and are more and more aware of what their buying, which is very positive I believe. The packaging of the tube is very recognizable, just simple, no glitter, no glamour. Really love the thickness and quality of the tube, it seems that Dermalogica has changed their tube-manufacturer, since they use to had thinner tubes. A great start. Definitely a first plus. Like I said earlier, Dermalogica is quite open about their ingredients and they dont’t use Oil, Fragrance and Alcohol. Love the company policy. But the truth is that they use ingredients with a fragrance. Maybe it’s a bit confusing, but what they are actually saying is: “no chemical added fragrance”. Taking a closer look at the ingredients of the Intensive Moisture Balance we see nothing what is actually bad for the skin. It’s packed with lots of natural skin repairing ingredients like “Vitis Vinifera (Grape) Seed Extract” and “Aloe Barbadensis Leaf Juice” and many more (please find the full ingredient list below). Impressed, again. Dermalogica did a great job making this moisturizer easy to apply. The Intensive Moisture Balance hydrates without leaving a film or residue, it sinks straight in. Doesn’t sting upon application at either. The natural smell is pleasant. We and our customers are so pleased that we are rating it as “Best moisturizer of 2016” CONGRATULATIONS, we will inform Dermalogica after this post! Yes, offcourse it has downsides as well. We have never given any product the full-5-star-rating. 1) It’s not cheap, with a price tag of $74 USD for 100ml, it’s exactly priced the same as the Mudmasky Facial Detox Mask is rated as “Best Facial Mask”. Coincidence or are the ingredients that expensive? + Great moisturizer "RATED AS BEST OF 2016"